If you are unsure which councillors serve your ward then please click HERE and you will be taken to the borough website where they have provided a facility. Shown to the right is the consitituency of Southend West broken down into Wards. 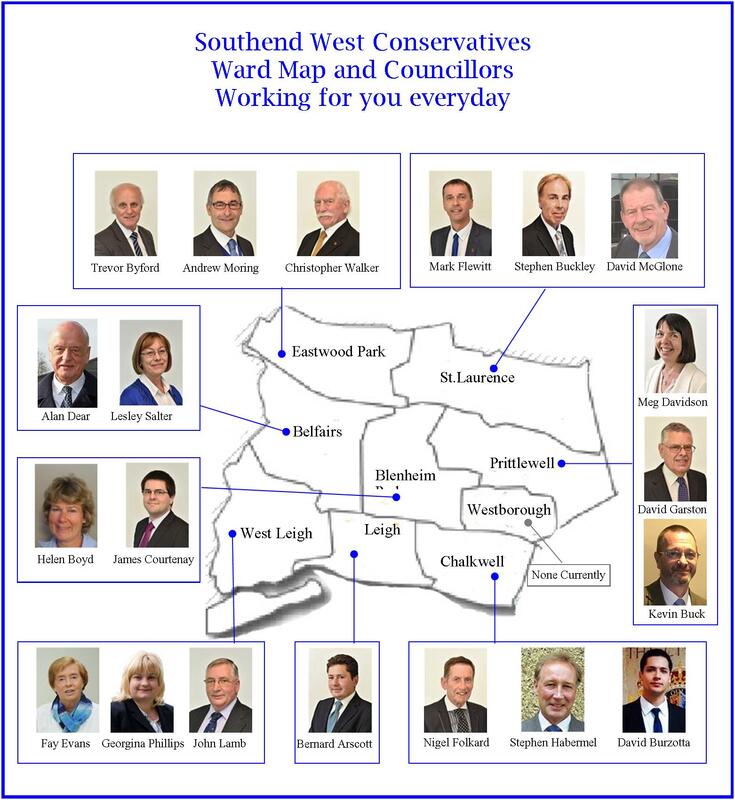 For each ward we have shown the conservative councillors serving you. If you require a larger map including pictures of the councillors serving you please click on this LINK.